Reinforcing our commitment towards providing innovative solutions to the market, June was a month of New product launches at Team Insta. This has been in Focus for the month and we hope for years to come! Since this season didn’t see too much of Exhibitions and Trade shows , brand activation created top stories. Insta products catered to the activation space for Quingo scooters and Suzuki to name a few thereby making a foray into the special vehicles segment. 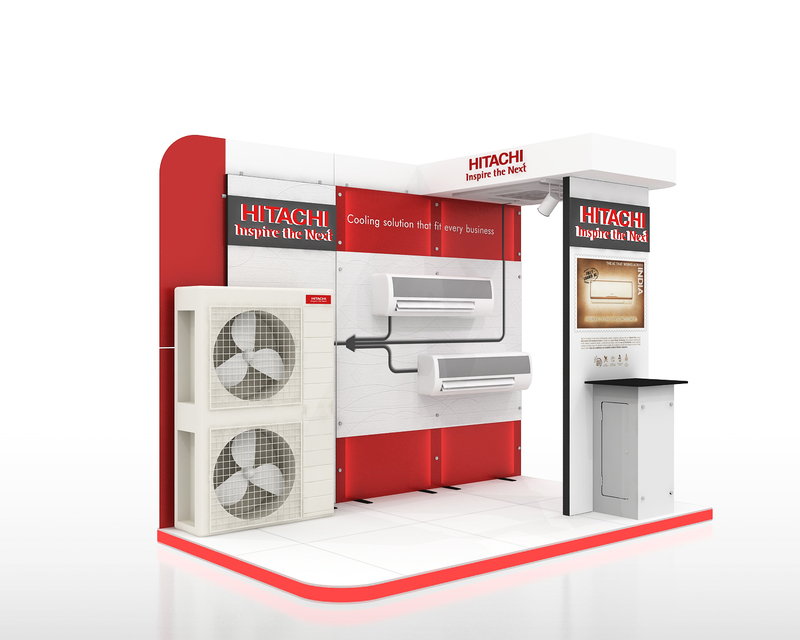 Another activation design for the home appliances giant Hitachi was proposed with creative ways to mount products keeping the backbone standard and reusable. ‘Hitachi Home and Life Solutions (India) Ltd’ a subsidiary of Hitachi Appliance Inc, Japan. They manufacture & supply of high quality technology and products. They chose to promote their product from ‘CreeyaTM’, a Insta’s product, which is well known for its reusable and portable nature and which also eventually results in overall cost reduction in promotion. The stall design was compact and spacious enough with proper display space for products and portable counter. The design was flawless, spacious and high on utility. Hence, ‘Hitachi Home and Life Solutions (India) Ltd’ modular design has been chosen as our design of the month. Insta Group conducted its Product Launch event on 12th and 13th June in Mumbai. This two day residential program was aimed at providing vital information to the India team about the varying environment and also launch of innovative solutions to cater to this environment. Insta launched the Euro Plus series, a range of European quality outdoor portable system perfectly suited for activation, promotions and events outdoor. With the onset of pre monsoon showers, these tents succeeded the test of prolonged extreme weather conditions. These can be printed upon and are stable, washable and completely portable in nature. Insta also launched first of its kind modular backlit exhibition kit – Luminy. This is an innovative solution which when coupled with custom built exhibition stands or other modular exhibition stand designs of Insta, give rise to a variety of experiential marketing space designs to the end user. Luminy uses the latest COB technology that provides ample lighting to a backdrop or an exhibition stand while keeping the environment green. Five wheels Pvt. Ltd, the Indian arm of the UK based Quingo Scooters promoted their agile scooters at two IT Parks in Bengaluru. 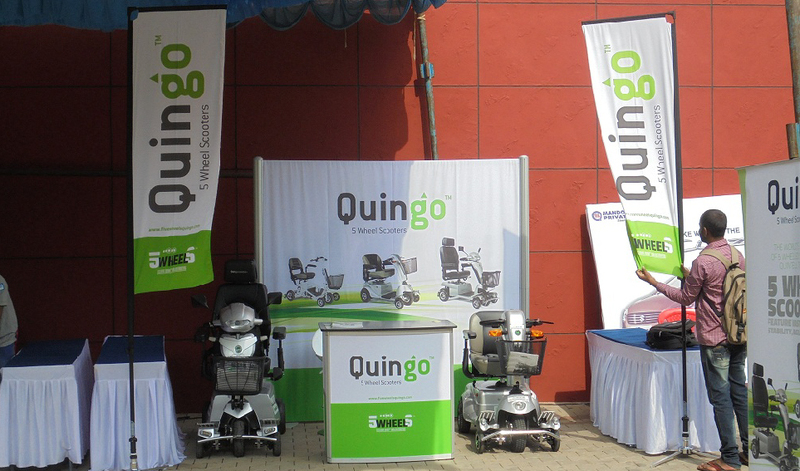 This Corporate Activation was aimed at creating brand awareness of the Quingo brand amongst their target group in India. Five wheels required a smart portable solution for their outdoor activation which could be easy to carry and set up by keeping the brand value of Quingo intact. Insta provided the Highline Outdoor solution with a Butterfly counter and Euro Plus flag. The flag made the space capture attention while the backdrop had the banner message to the audience for engagement. They showcased two of their electronic scooter for persons with reduced mobility and also shared product information with prospective clients. The high stability of the outdoor activation system also reflected the highly stable nature of the Quingo scooters. Suzuki Motorcycle India Pvt. Ltd. is a subsidiary of Suzuki Motor Corporation, Japan. They wanted to promote their bikes in India in ‘Gixxer Cup Event’ 2015. 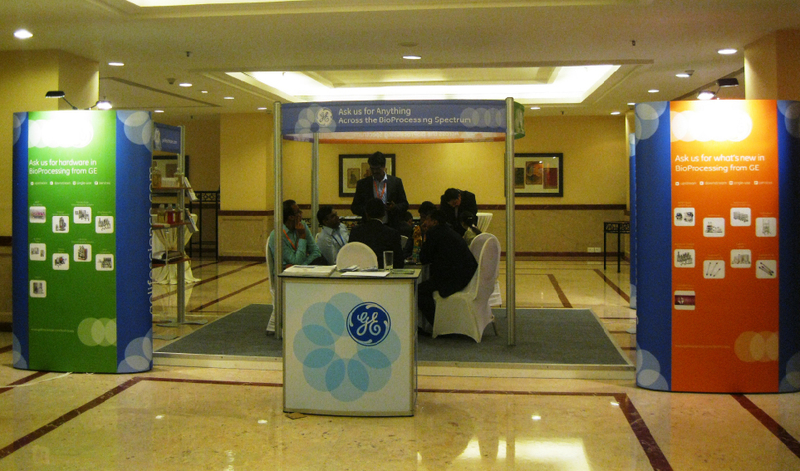 They were looking for a solution which could be portable and enable them to reuse it for multiple events. Amongst the multiple options proposed by Insta, a design made in HighlineTM proved to be most appropriate for their requirement. The whole set up was aligned with their brand guidelines. Maximum exposure for the products were taken into consideration and executed flawless. The key factor of client’s need of ‘Reusability of the solution’ was achievable with ease, due to its portable nature. The given solution proved cost effective and efficient, which assisted them in branding with ease. 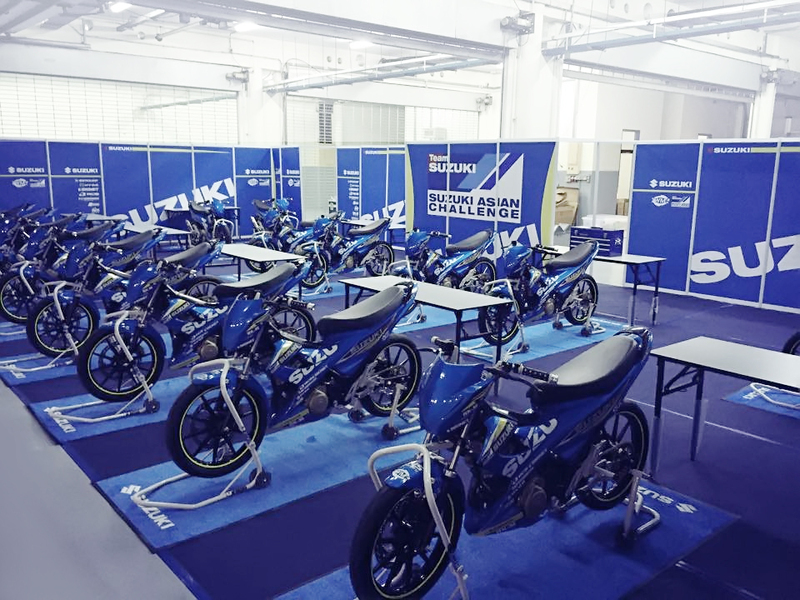 Outcome: Suzuki Motorcycle were impressed and delighted with the solution and carried forward to reuse the same solution for an another event at Chennai. Insta’s product quality, service, delivery on time, precision in quality of installation and especially staff’s responsiveness helped us to do well in the event and achieve our marketing strategy. 5 Super Effective tips for stand crew: Attract more customers at your exhibition stand for higher sale of products and services with these five tips for your stand personnel. If you want to attract someone for a sale it is not about I, me and myself. Put yourself in the visitor’s shoes, the problems they face on a daily basis and how your product or service will solve it. Stick to make a sale without too many technical details of products and services. Successful selling is done by highlighting benefits. "Hello, who are you and how much time are you worth?" As an employee on an exhibition stall, you will never say this out loud, but subconsciously you do scan perhaps by direct person's badge. It is unpleasant and intrusive but needs a direct tone to put it. Go rather informal conversation and compromised patient wondering if you could deepen the conversation, it is enjoyable and natural to both parties. After a warm welcome to your exhibition stand and a brief overview, clear what advantages does your product or service have. Do not do that in an endless story full of digressions, but keep it practical and concrete. After the demonstration or presentation, you can elaborate if required. A giveaway is a proven method to attract visitors to your booth, but give it with a twist. Offer something to eat or drink? Think of sustainability or social responsibility. Or give away a little plant with the words: "On the growth of your business." 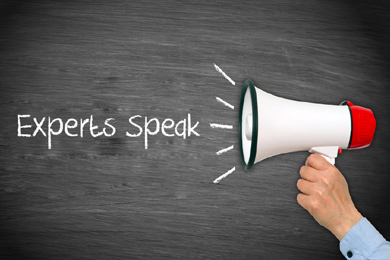 Always close a conversation on a worthy note without insisting on selling your product or service. Give visitors the opportunity to choose their next step, or to abandon. If someone is not interested in your offer, the likelihood of a sale is already small.